A scarce Khanda hilted Indian Firangi horseman's sword for a child. The fullered 69 cm plain blade blade is in good order and firm in the hilt. 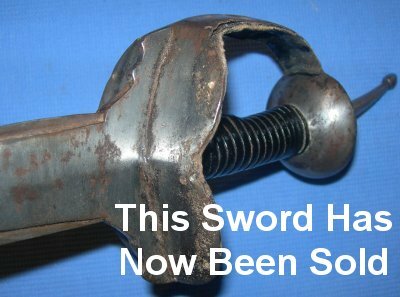 The hilt is also generally good. Further / full sized photos available upon request. A great price for this "toy"! My item reference number is 772 (319).